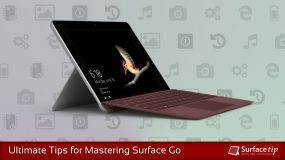 Microsoft Surface Go is the most affordable and highly portable Surface PC ever made by Microsoft. It shares the same incredible premium design and high-quality material just like its Surface family. Besides that, most users also satisfied with the set of ports available on Surface Go including a Surface Connect port, 3.5mm audio jack, and of course a USB-C port. It has a respectable 9-hours of video playback for its form factor and Intel-based processor. However, for real-life usage, it probably can’t hold for a whole active working day. 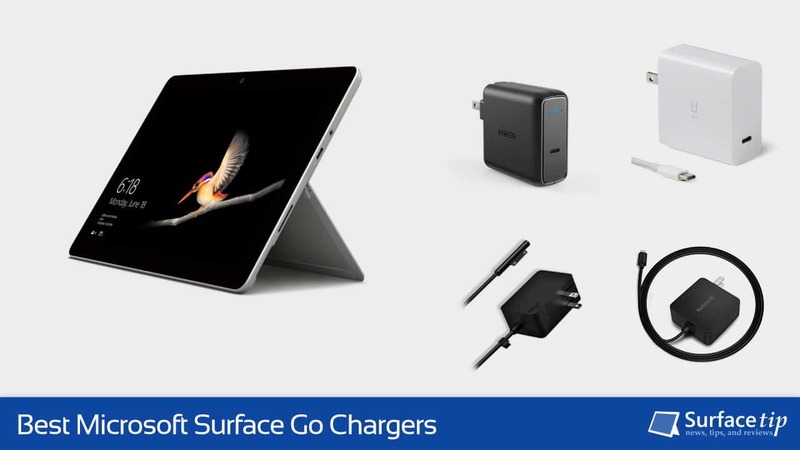 If you find yourself need an extra charger, here are some of our favorite Surface Go chargers we want you to check out. 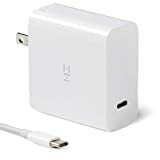 The following Surface Connect chargers are more powerful chargers. If you want a better charging speed with ease of magnet connector, it's a good choice for you. Broadly speaking, a good charger provides a good charging speed, guaranteed safety, an acceptable price, and more. This ZMI 45W USB-C wall charger has all we asking for. Additionally, it also comes with a detachable 5-feets USB-C cable so you don’t have to messing around to find a compatible one. It supports both Power Delivery 2.0 and Qualcomm Quick Charge 3.0 which can fast charge all your USB-C enabled device including Microsoft Surface Go. As a result, it is an easily recommended charger for your Surface Go and all of your USB-C gadgets. Anker is a leading company in the charging industry, which offers reliable products with worry-free 18-month warranty. 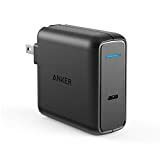 This Anker USB Type-C charger features a high-speed via Power Delivery technology up to 60W to fast charge your Surface Go and other power hungry USB-C enabled devices. It is made of aluminum with ultra-compact design and foldable plug to enhance durability and portability. It’s built with MultiProtect technology that utilizes 10 safety features to provide an ultimate protection for all of your devices. Besides that, the blue LED indicator light is a cool feature to have. 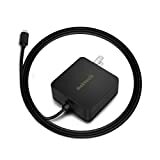 This Nekteck USB-C wall charger features a USB-IF power brick certification (TID: 1021000) that provides a compliance standard in term of charging speed and safety. The charger delivers a fast charging speed up to 45-Watt on a very portable form factor measured at only 2.08 x 2.08 x 1.18 inch. Additionally, the built-in 6-feets USB-C cable that comes with it is fit enough to attach to the most wall outlets. If you have multiple Surface devices that don’t have USB-C port, you might want to look into a proprietary Surface charger instead. The 24W Surface Go charger can fully charge your Surface Go in about 2 hours, and you definitely can expect faster result with this 65 power supply. With such amount of power, it can be used to charge other Surface devices including Surface Pro, Surface Laptop, and even the Surface Book lineup. 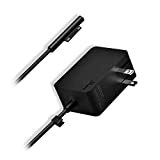 Moreover, just like the original Surface Pro charger, this charger has an additional 5-watt USB-A port for charging your gears simultaneously. 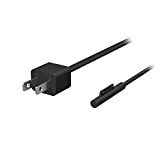 Anyway, if you want a genuine Surface charger, I recommend you to pick one up at Microsoft Store with following options. The BatPower has a range of products for Microsoft Surface specifically, and most of them have a high trust from its users in term of product features, quality, and support. This 24 watts Surface charger, anyway, share the same features and portable design just like the original Surface Go charger. It does come with a foldable plug and a LED indicator light for your convenience. On top of that, it also comes with a cable clip for easily organize the cable which seems to be disappeared from the original Surface Go charger. We appreciate hearing your thoughts, questions, and ideas about “The Best Surface Go Wall Chargers for 2019”. Please post respectful comments and on topic. We will be replying back to you as soon as possible. Share your idea about "The Best Surface Go Wall Chargers for 2019".